When the World Trade Center collapsed on September 11, 2001, nearly 10,000 emergency rescue workers joined in the efforts to help. 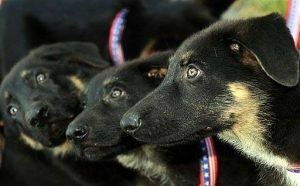 More than 300 of those heroes were dogs. Today we remember and honor the Hero Dogs of 9/11 along with the countless people who had their lives irrevocably changed by man’s best friend. 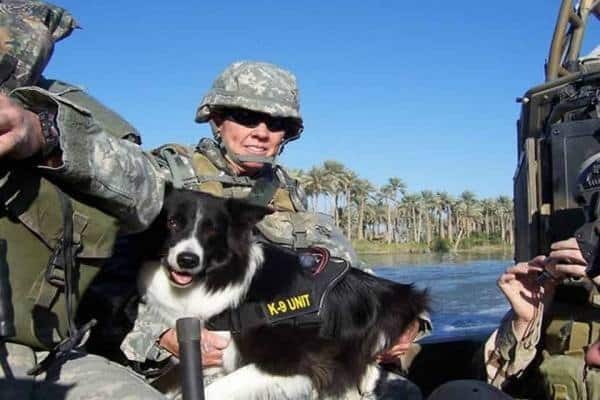 From search and rescue dogs to comfort dogs to bomb detection dogs, these canines’ stories of courage, healing and long-lasting legacy must never be forgotten. Bretagne (pronounced Brit-nee) was two years old at the time of the attacks. She and Denise Corliss, her owner and handler, worked at Ground Zero for 10 days as their mission went from rescue to recovery. Corliss, a volunteer firefighter with the Cy-Fair Fire Department, began training Bretagne for search and rescue work at just eight weeks old. 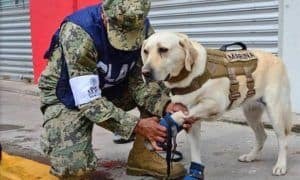 The duo soon became a FEMA-certified canine team that also worked in the rescue missions during Hurricanes Katrina, Rita, and Ivan. 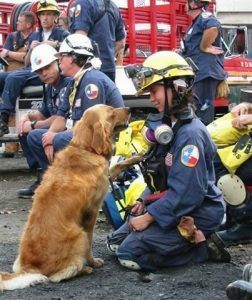 Bretagne retired from formal search work at 9-years old, but continued to work as a goodwill ambassador for her local fire department, and as a reading assistance dog at a local elementary school. 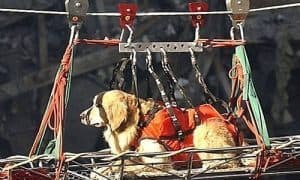 Bretagne remained the only living 9/11 search and rescue dog until June 6, 2016, when she was laid to rest just shy of 17 years old. 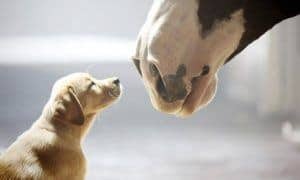 As Bretagne entered the animal hospital in Cypress, Texas, firefighters and search and rescue workers from the fire department lined the sidewalk and saluted. She was carried out later, her body draped in an American flag. 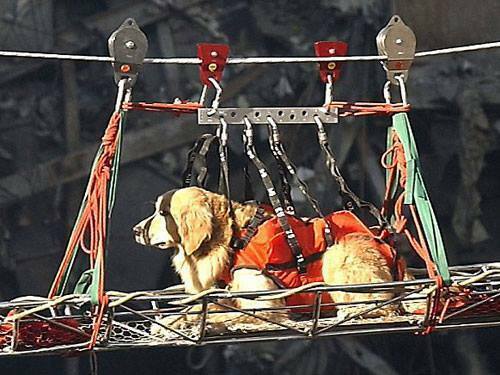 Riley, a Golden Retriever that assisted in the 9/11 search and rescue efforts, was trained to find live people. Still, he did help recover several bodies of firefighters. 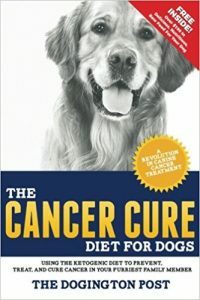 But Riley worked desperately to find the living – that was his job. 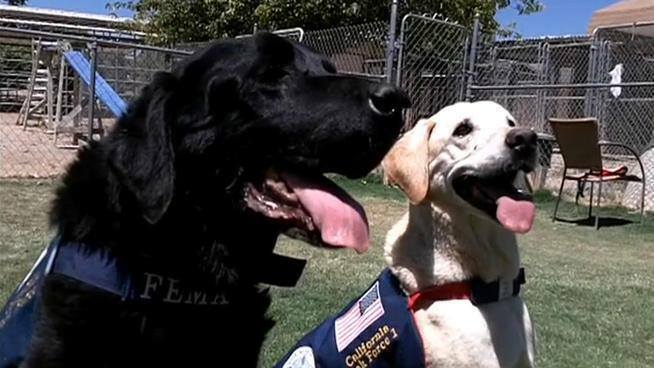 Coby and Guinness, both labrador retrievers, searched tirelessly through the rubble of the World Trade Center before returning home to Southern California to retire at their handler’s home. Both of these dogs worked for an even larger and more crowded area than they were ever trained for, searching for 11 days in 12 hour shifts. Their reward was a nap or a chew toy. Together, they found the remains of dozens of people in the rubble. 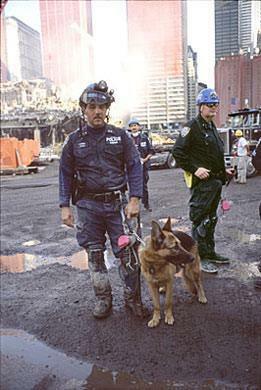 Appollo and his handler, Peter Davis, were called in to assist with rescue operations after the 9/11 terror attacks. 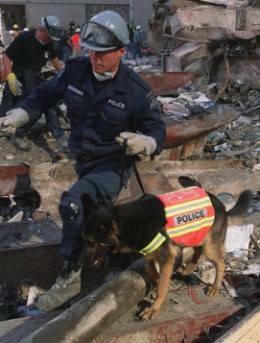 They arrived at the World Trade Center site 15 minutes after the attack, making Appollo the first search and rescue dog to arrive after the collapse of the towers. At one point, Appollo was almost killed by flames and falling debris. However, he survived, having been drenched after falling into a pool of water just before this incident. Appollo started working again as soon as Davis brushed the debris off him. 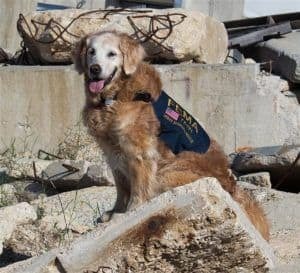 Thunder and handler, Kent Olson, traveled from Lakewood, Washington to search through the rubble for victims of the September 11 terrorist attacks. Olson and Thunder often searched Washington for victims and survivors of avalanches and possible drownings. But this was the first time they had been sent so far away or had helped with a mission of this magnitude. 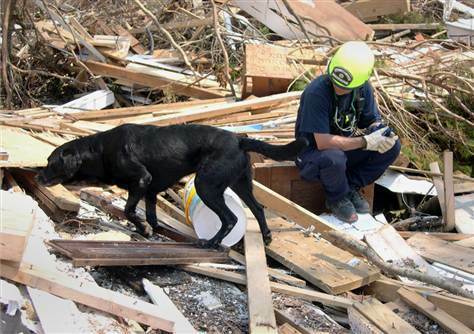 Sage became a FEMA search and rescue dog at only 18-months old. Her very first real mission was to search through the Pentagon after the 9/11 attacks. 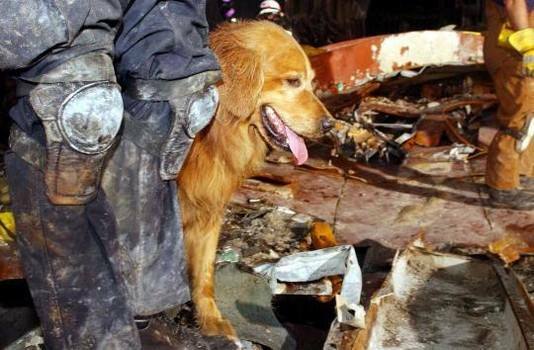 Amid the rubble, Sage sniffed out the body of the terrorist who had flown American Flight 77 into the building. Trakr, a German Shepherd seen here with Canadian Police officer James Symington, discovered the last survivor of the September 11 attacks at the World Trade Center. Genelle Guzman-McMillan was making her way down the stairs in the South Tower when the building collapsed around her. After being trapped for 27 hours beneath the concrete and rubble, Trakr alerted firefighters to her whereabouts. 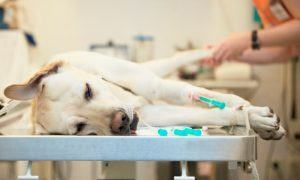 Before Trakr died in April 2009, his DNA was entered into a cloning contest by Symington and was later chosen for use. In June of that year, five cloned Trakrs were born. 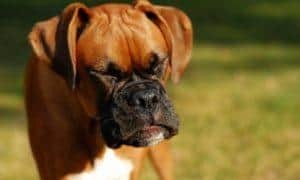 Jake was only 10-months old when he was found as a stray, living on the streets and suffering from several injuries including a dislocated hip and broken leg. 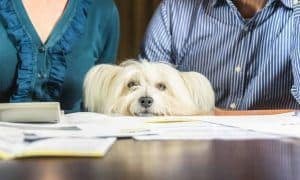 He was adopted by Mary Flood, a member of the Utah Task Force 1, a search and rescue team trained to respond to disasters. After nursing him back to health, Mary trained Jake for search and rescue. 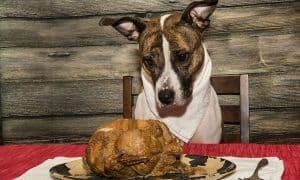 A natural, Jake quickly became a world-class rescue dog. While Jake assisted after many natural disasters, he was most noted for his work following the September 11 attacks on the World Trade Center where he worked tirelessly for 17 days. In his later years, Jake helped to train younger prospective rescue dogs, as well as their handlers. Jake helped other dogs to learn to track scents in difficult places and terrain, including under the snow and even up trees. 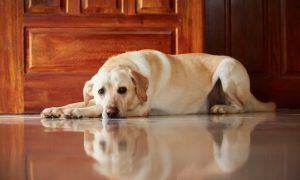 Jake also worked as a therapy dog at Utah nursing homes and at a camp for burn victims. Hundreds more loyal, devoted, and hardworking four-legged heroes risked life and limb on September 11 and the days and weeks that followed. Whether searching for survivors, locating remains, or simply being a source of comfort and hope during the bleakest moment in modern history, we must always remember and honor them. And don’t forget about the K9 Sirus who was helping those trapped until he himself became trapped and went down with the South Tower at 10:31 that fateful morning. His leash is at the 911 Memorial.